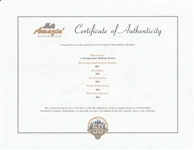 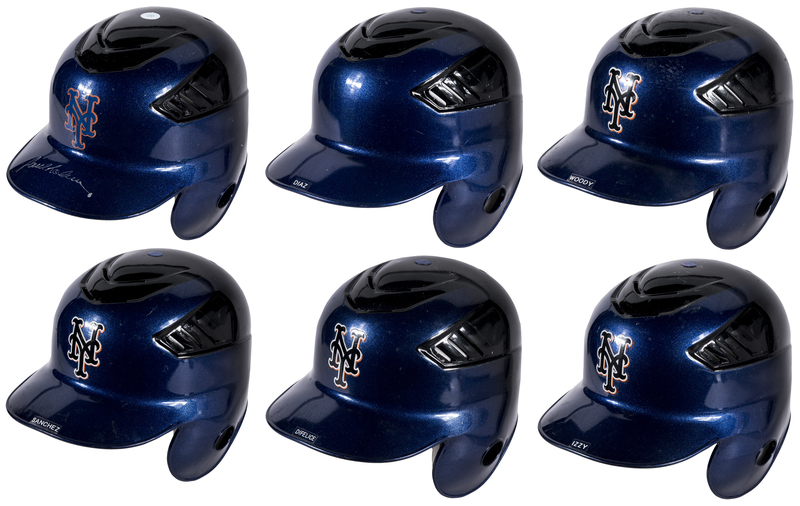 Presented here is a collection of six New York Mets game used batting helmets. 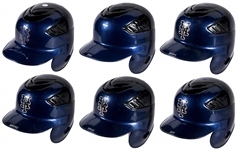 The helmets were worn by Paul Lo Duca, Victor Diaz, Chris Woodward, Jason Isringhausen, and Duaner Sanchez. 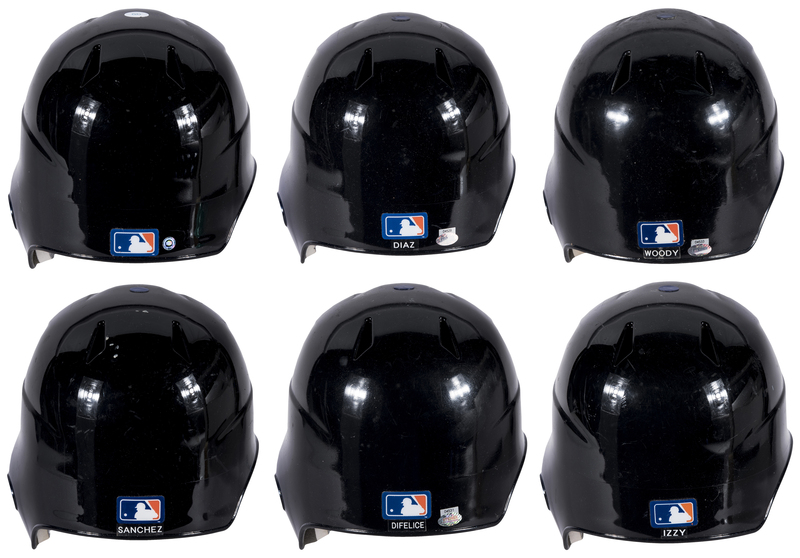 The helmets are black and blue. 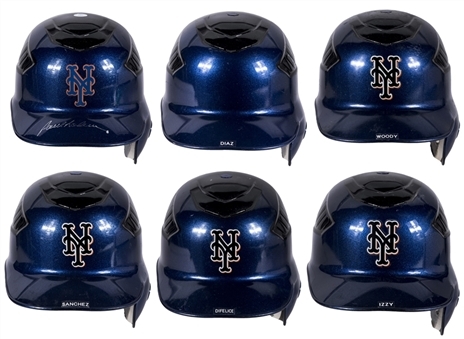 Four feature a black, white, and orange Mets logo on the front. 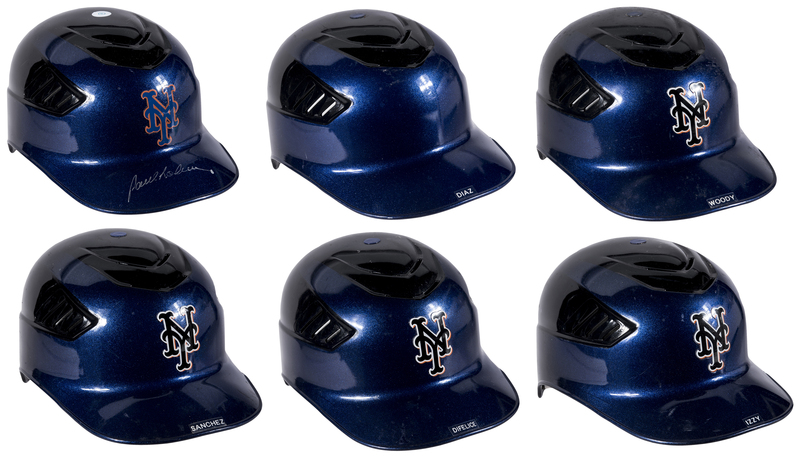 The helmet in this lot worn by Paul Lo Duca has a blue and orange Mets logo, and the helmet worn by Victor Diaz does not have a Mets logo. 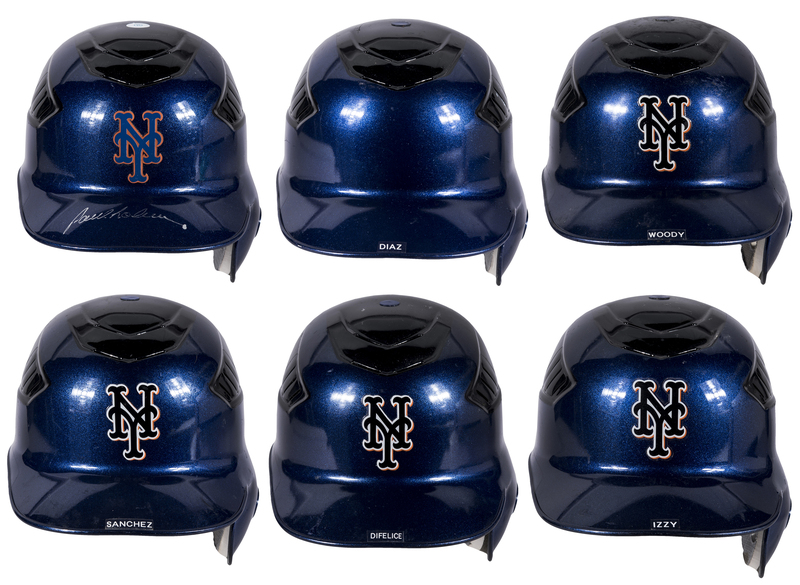 Lo Duca has signed his helmet on the brim in silver marker. 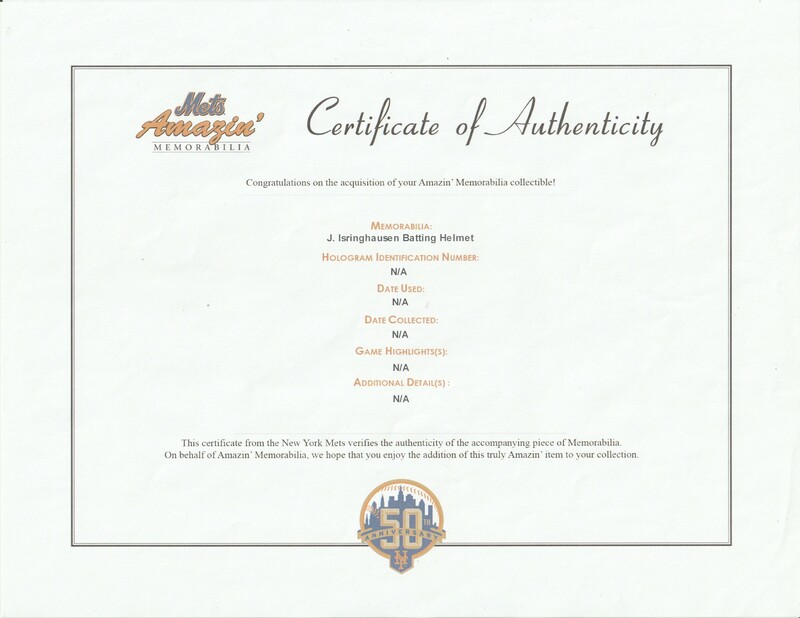 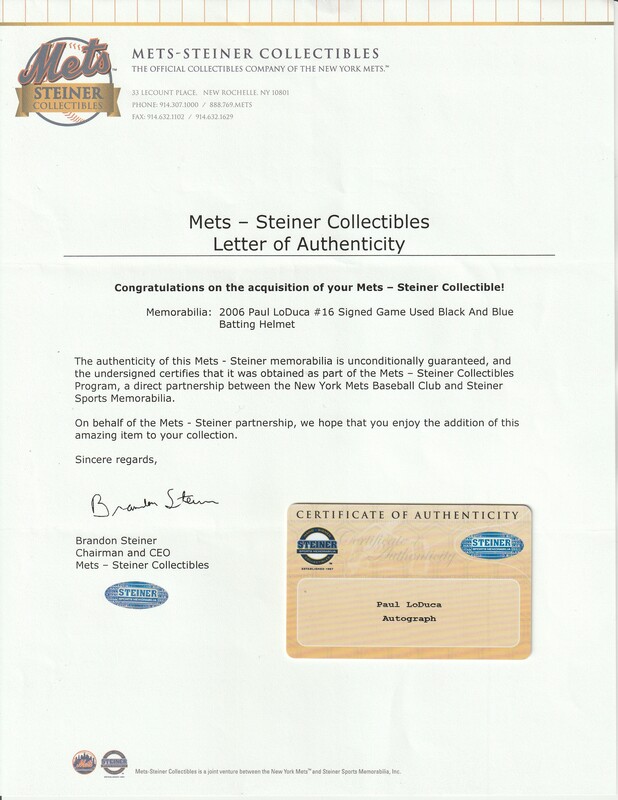 Lo Duca's signature comes with a MLB Authenticated hologram (BB 266970) and a Steiner COA. 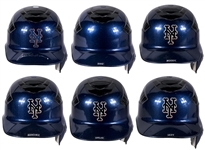 Each helmet is for a right-handed batter, and has the player’s surname, or in the case of Isringhausen and Woodward, their nickname applied to the back of the helmet. 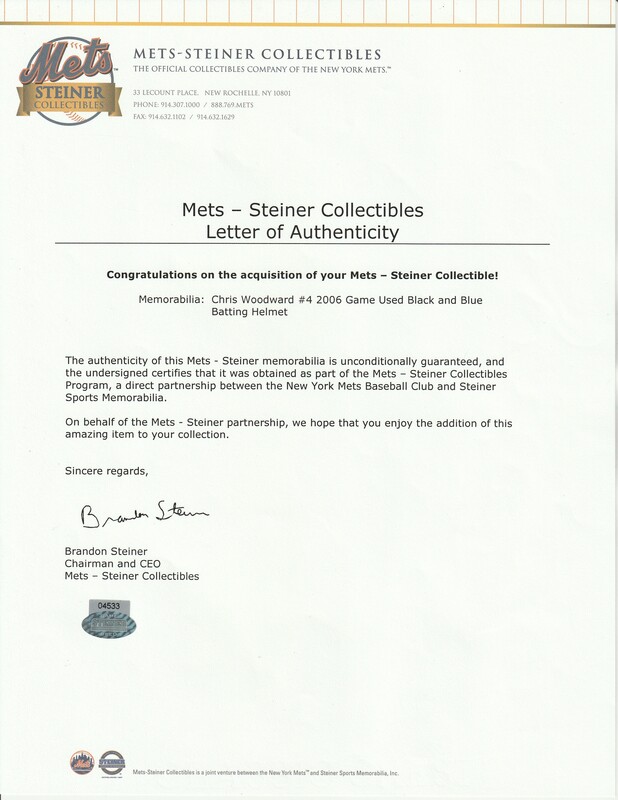 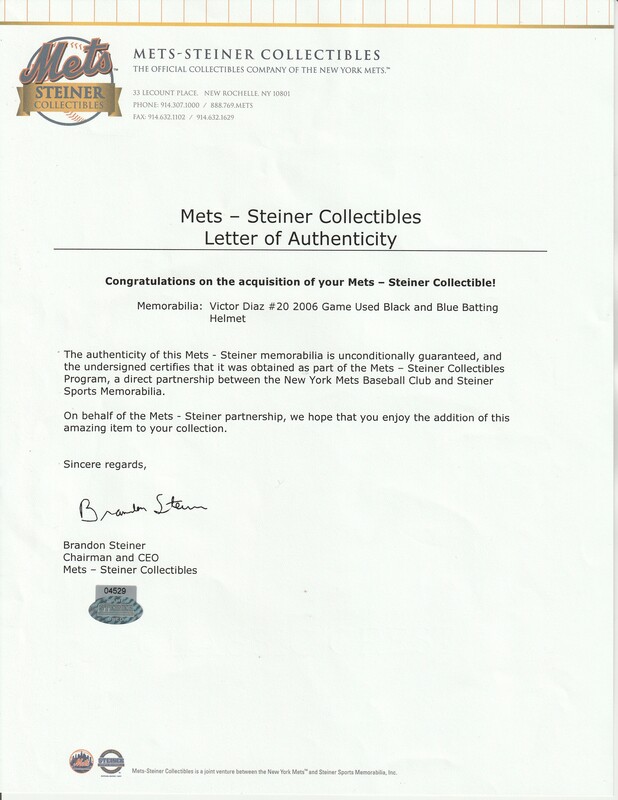 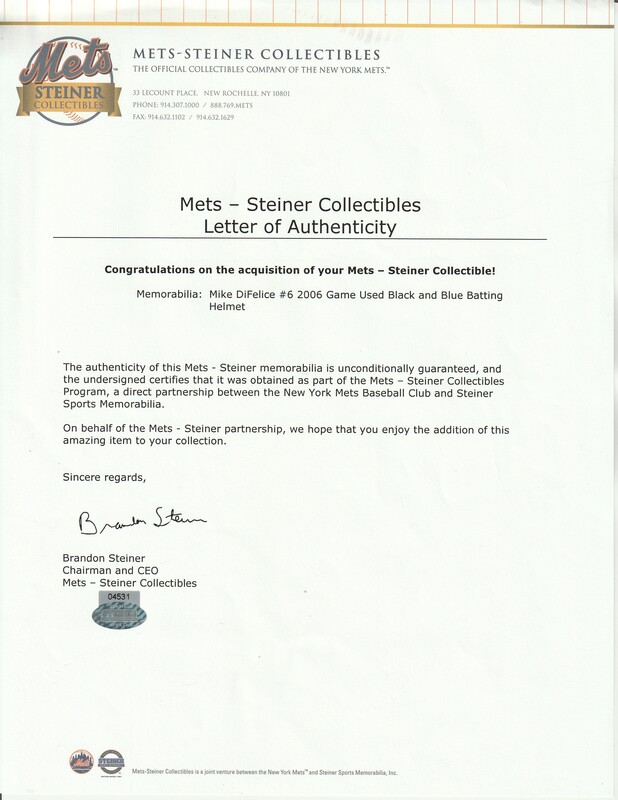 The Lo Duca, Diaz and Woodward helmets are accompanied by individual LOAs from Mets-Steiner Collectibles.